Time and time again people debate whether or not someone fits the target audience of a specific book. With the industry in such a competitive state currently and unfocused marketing being the death knell of most sales, it's important to know who your ideal reader is. Unfortunately, that creates a dialogue that keeps out a lot of people who would still very much benefit from the book. So, let's start a dialogue. A fresh... no, a Garden Fresh dialogue. 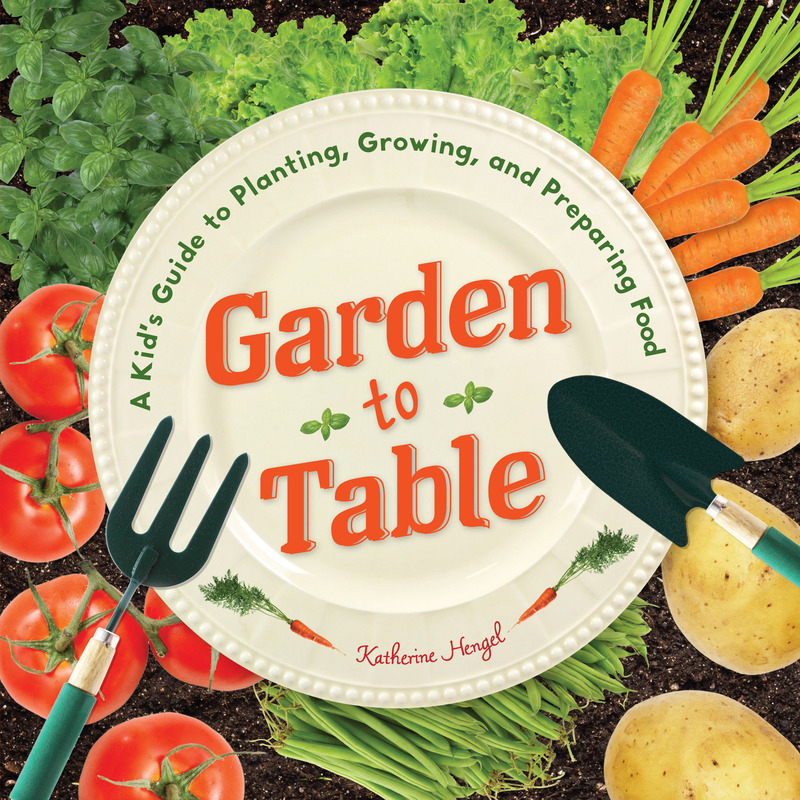 Let me tell you about the magic of Garden to Table, and why "a kid's guide" is so much more. Let's start with the crowd I know best, the audience I fall into: College students - You'd love to cook more but dorms are a bit short on space, right? You'd eat healthier, but the cafeteria isn't exactly a Whole Foods. You'd love to impress your date with a nice meal, but you're short on cash and home cooked doesn't work without a kitchen. These excuses are all irrelevant now that you're gonna grow your own green beans on the little IKEA table by your window. The recipe for Green Bean Penne is cheap, tasty, and can be prepared with a single hot-plate and a small blender. Now all you need to do is find a way to grow your own gym and maybe you'll finally be rid of that freshman 15. Parents - Imagine this: Your child is having friends over for a movie night and slumber party. One is allergic to nuts, another is vegetarian, and the last one likes to claim he's allergic to anything green and leafy. Well, the rules out PB&J, chicken or tuna salad sandwiches, and the anything overtly healthy. Solution? Grilled Cheese & Pesto! Nothing time consuming, everyone gets their share of vegetables whether they realize it or not (tell the kid that tomatoes are fruit, and maybe that they give you X-ray vision), and you get to tell their parents that they were fed garden fresh food (or not, don't want to become the new default host). It also works as an amazing pairing with chicken noodle soup for when your little one comes down with one of those crazy new strains of flu that children love to catch. People Who Have Just Got Their First Apartment with a Real Backyard (totally legit audience): You finally have a yard, and you want to make it beautiful. You're already planting flowers, and this gorgeous grass you've been considering for a few months. What you really need though, is tomatoes. Something that you can pick, put in a basket and bring inside to cook with. Something that you can use to prepare an amazing meal for all of your friends and prove that you're the most independent person they know. So, you grow those tomatoes and now what? You make a Tomato Pie, and if you're lucky one of your friends has kids, and also some basil to spare to pull off a Garden to Table double whammy. Full of delicious, fresh ingredients and easily scalable to different party sizes, this recipe will instantly rocket you to the top of all the dinner-party and potluck invite lists you could ever want to be on. Plus you can probably make a pretty mean spaghetti sauce with any of your leftover tomatoes, which might come in handy for those nights in with Netflix. Anyone out there feel like they still need a little more attention? Want me to include your crowd in future suggestions? Just comment below, and then we'll respond, and then you'll respond, and then the conversation stork will deliver us a little baby dialogue. Adorable. Check back regularly for more meal suggestions and other bookish talk from the staff here at Mighty Media Press!